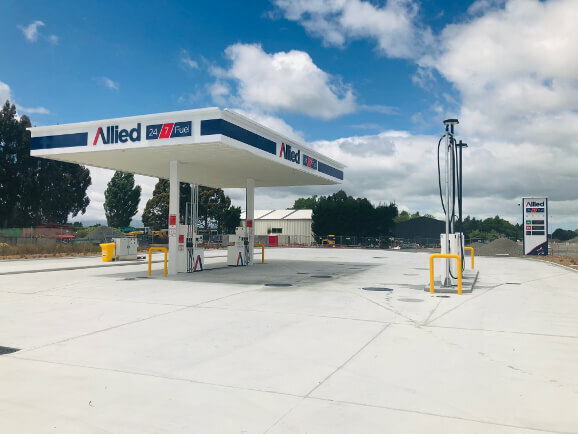 Allied Petroleum’s Rolleston Fuel Stop opened for trading on 28th January 2019, located at the new Weedons Ross Road and Main South Road interchange. The new facility will operate as an unmanned 24-hour refuelling site, with a separate forecourt under canopy for smaller passenger vehicles, with 91, 95 and diesel fuel available at the pump. For commercial vehicles, the spacious site means drivers will enjoy easy access, with a high flow diesel pump for faster refuelling as well as AlliedBlue (Diesel Exhaust Fluid). The card payment terminals accept a variety of cards including Allied Fuel Plus card, Ruralco card, Fleetcard, along with Eftpos. 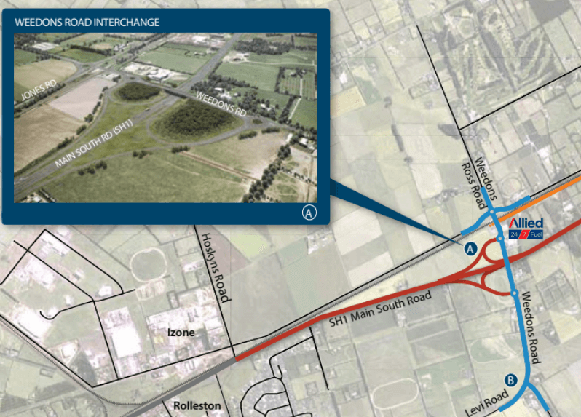 The new Fuel Stop is located at 16 Weedons Ross Road, Rolleston. Click here to download our App and easily find your nearest Allied Fuel Stop or Service Station. To find out more about the benefits of an Allied Fuel Plus card click here.